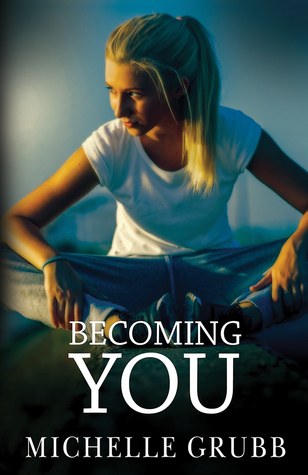 Emotional whiplash is what Becoming You by Michelle Grubb’s is. Whew! Up, down, all around is what you’re going to get. At times this book is very hard, at times, it tackles some difficult subject matter, infidelity for example, and will keep you on your toes till the very end. When we first meet Airlie Porter she is traveling from Australia to Ireland to start a new life. No job, no place to live, just headed with her bestie, Hannah on this cross-continent adventure. Uh-uh, nope, that is just cray. Come on girls we need more planning than that is what my control freak mind kept saying. Airlie has just upended her long term relationship with Sam. No matter how nice he was, a totally good guy, Airlie could not help feeling a sense of doom as she closed in on the married life. So she destroyed her relationship and took off with Hannah. Airlie doesn’t know why she feels so much discontent. Until a night in a bar when she meets Rachel does the big clue drop. Olivia is a married woman who lives in a seaside town a few hours outside of Dublin. Seated next to Airlie and Hannah on the flight back from Australia, she hit it off with the two fellow Aussies and invited them, (they had no lodging remember), to stay with her till they decided to take off for the big city. Olivia and Airlie instantly connect and form a bond that is unlike anything they have ever experienced. This is where it gets tricky! Airlie’s struggle with her sexuality is very real. you feel her anger, her pain, she is writhing with denial. All I wanted to do was hug her. To make matter infinitely worse the one woman she can see herself with is the most unavailable female on planet Earth. Not to mention, Olivia has neve once given any indication she plays for the lady-loving team. Well, it’s a romance so you know where this is going to go. This best-friendship turns to something more. This is where we take a hard turn in the book. We go from Airlie’s personal struggle to acceptance and then to one giant seriously messed up seriously destructive relationship. Airlie and Olivia begin an affair after long denying their attraction. Okay, lose the hubby, Olivia. Oh, that would be too easy. Olivia a kind, understanding, sentinel of a woman to Airlie becomes the worst person ever. She became an absolute a$$hole to Airlie and to her husband. The character switch towards the last quarter or the book was pretty daunting. Overall, this book is quite good. It tackles some difficult subjects and for the most part, does it quite well. I thought the ending was a bit too convenient and didn’t really redeem either of the main characters. With that being said, it is not my favorite from Michelle Grubb, but she is still absolutely on my automatic read list. 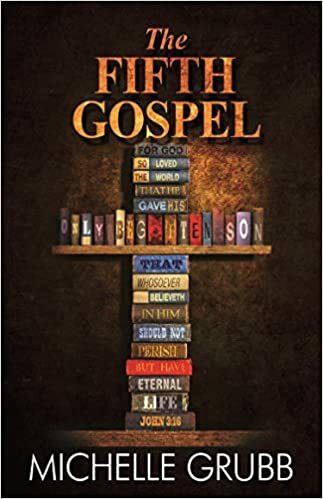 The Fifth Gospel by Michelle Grubb is an absolutely wonderful book. From the first chapter you will be spellbound. Beginning to end this book is fantastic, it’s romantic, intellectual and everything you want in a book. Felicity “Flic” Bastone is an investigative reporter that stumbled upon the ultimately secret of the Pope. She took this secret and turned it into a novel, that is on the precipice of becoming a best seller. Her book release is coinciding with the Pope announcing his love affair with his Camerlengo. Wowzers talk about a moment in history! Flic’s publishing company, Griffin is doing everything in their power to capitalize on this momentous event. Flic is just a cool character. She is the epitome of a nice person. She is sweet, caring, thoughtful and highly intelligent. Flic is one of those characters that you wish in real life they existed so you could be their friend. The other leading lady in the story is Anna Lawrence, marketing superstar of Griffin Publishing. Anna is Catholic, and as a devout follower of the Catholic Church she is not a huge fan of Flic’s book. She finds solace in her religion and she is terrified what this book might do to her beloved church. On the flip side, she will do everything in her power to market the hell out of this book, even agreeing to help Flic on her promotional tour of Europe. Oh yeah, you know what’s going to happen, the sexual tension is high! The thing that is so awesome with this book is the conversations between Anna and Flic. Our two protagonists square off on so many subjects, and their conversations are enlightening and so engaging. Michelle Grubb did a fantastic job developing strong characters that are intelligent and witty. The author did a wonderful job showing how each character feels and why they feel the way they do. Anna is Catholic and never is she demeaned or ridiculed for her beliefs. She expresses why her faith is important to her, and Flic in turn respectfully accepts her feelings and explains her side. I loved how each character had her feelings about religion and that was okay. Never did I feel like the author’s personal beliefs came through or the proverbial soap box came into play. There is also an element of a thriller in this book, I mean if you piss off some highly religious folks at least three of them of going to try to kill you, right! This part of the plot was a little thin in my opinion, but the romance and the intelligence of the two leading ladies more than make up for it. I read a lot of books, almost all in the lesbian romance genre, when a great one comes up, you cannot help but smile. This book made me excited to read, I smiled the whole way through. This one is solid gold!